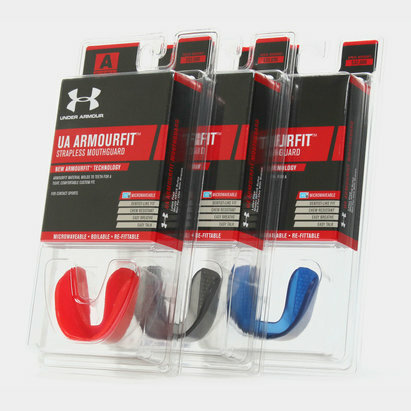 Designed to help you body perform by unlocking the power of the jaw, the Under Armour ArmourBite Adult Mouth Guard combines protection with strength and performance. Created with ArmourBite Power Wedges, these deliver a range of physical benefits that help you train harder and perform better. They have also been uniquely shaped to help maintain optimal spacing between your teeth and counteract the negative effects of clenching. 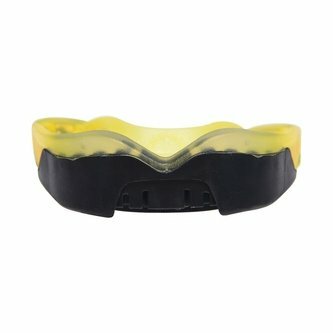 For the best fit, simply follow the instructions on how to boil and bite and this mouth guard is ready for any action. Choose from a range of colourful designs to brighten up your play during training and on match day.